A bachelor in business administration, J.A. Gamache is a bilingual (French and English) professional speaker, puppetteer and DJ from Montreal, Canada. His presentations are humorous, inspirational and lead audiences to take action immediately. In 2003, He was the president of the Montreal's Chapter of the Canadian Association of Public Speakers (CAPS). His new book, "Jitters or not, HERE I COME! 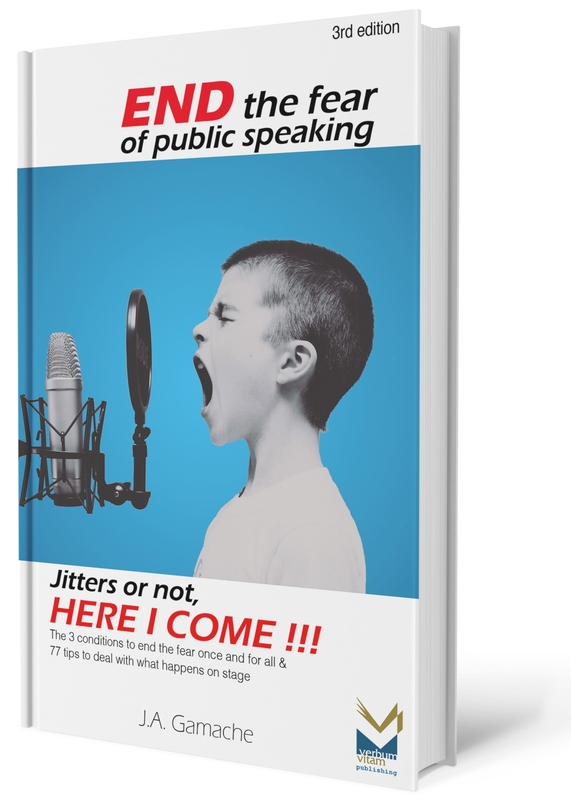 The 3 conditions to end the fear of public speaking once and for all & 77 tips to deal with what happens on stage" is now available at www.verbumvitam.com. A proud Toastmasters' member, J.A. Gamache is the only Quebecer to ever win a podium (3rd place) at Toastmasters World Championship of Public Speaking. He was also a finalist (top 10 worldwide) three more times in that same contest. Over 35 000 contestants participate in this prestigious event every year. The Toastmasters International program is offered to anyone aged 18 years and older who wishes to develop or improve their ability to communicate in public. Founded in 1924 in Santa Ana, California, Toastmasters International is a non-profit organization, led by an executive council elected by its members. In 2018, there were more than 350,000 members in over 16,400 Toastmasters clubs, distributed across 141 countries around the world. There are generally 20 to 30 members per club. The weekly meetings last approximately two hours. Besides the opportunity to speak in public, each member may perform one of the different roles of the meeting. Every week, members choose a new role. For more information, visit Toastmasters International website to find the club nearest you.